Sometimes new moms have a real tough time giving dads their time with the new baby. Then they complain about the father not pulling his weight. The struggle is real, and it’s way more common than you’d think. Men report performing about 20 hours per week less of household chores than women report doing. Many men admit to doing less, but their reasons for doing less aren’t what women think. Here are a few tips to help dad bond with your new baby better. Many new fathers are already nervous enough. 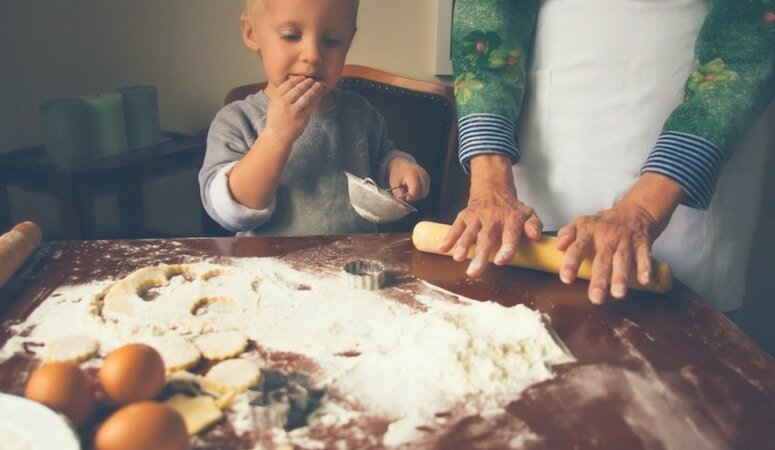 They think that women have more instinct for child-rearing than men, not because it’s totally true, but because society demonstrates this through television shows, commercials and more. So, unless something is truly dangerous or unhealthy, let your husband take care of his child in his own way. Don’t critique everything he does. Even if the diaper is on backwards, praise that he did it, don’t comment that he did it wrong. Just like you, he’ll figure it out eventually. Some men weren’t brought up to be nurturers. It may not come naturally to them. This can change when a new baby comes along though. 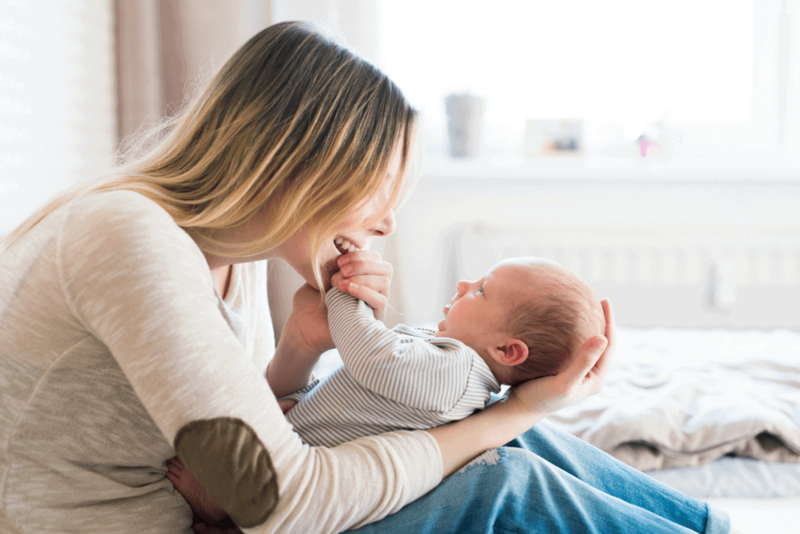 Boost your partner’s self-esteem with your baby by pointing out things they are doing right. When they are playing and baby laughs, give him words of affirmation. A simple, “Oh baby loves it when daddy blows kisses. Look at that smile!” Can make all the difference. Or point out how attractive it is to see your man caring for his child so sweetly when he changes a diaper or baby’s clothes. 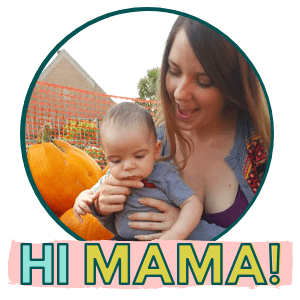 This will help them to feel confident about their parenting skills and the bond they are creating with their baby. Who doesn’t want to keep doing things they are good at?? Find an excuse that you have to do something or be somewhere and leave him to it. He’ll be fine. He needs to learn just as you’ve had to learn. Ensure that he feels safe to call you or someone else if he has questions, and then don’t treat him like he’s dumb for having a question. You want him to feel safe for asking, just like you do for asking your friends or family. Once your milk is established it’s okay to pump and let daddy do at least one feeding per day. He can also take night duty occasionally if you both work, or on nights he doesn’t have to go to work in the morning. One or two feedings each day will help the father bond with the baby in a way that other activities don’t. 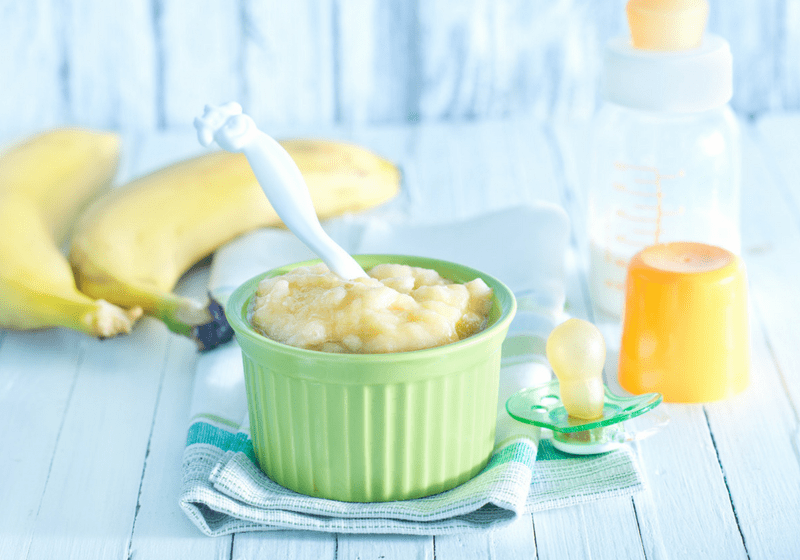 There is something about feeding your baby that creates a special bond. When you first hear your baby cry and both of you are home, it’s hard not to jump right up to the sound. 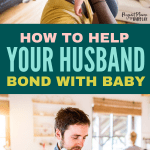 But, you should give your husband an opportunity to learn to react to your baby’s cries too. If your husband can react to daytime crying he’ll be that much more likely to react to nighttime crying. And that’s a win for everyone. Hanging out skin to skin. Skin to skin has so many benefits for baby. Even skin to skin with dad is beneficial to both of them! Feeding Baby. As we talked about earlier, feeding is a great way for dads to bond with baby! Get Silly. Playing and making faces at baby is a great way for them to bond. Babies love to watch faces, and daddy’s face is very special to them. Give baby a bath. Bath time can be a bit stressful at first, but once he gets the hang of it, it’s a great way for dad to feel like he’s just as much a part of taking care of baby. Give dad a baby carrier. He can carry baby while you guys are out and about, or even just while doing chores around the house. 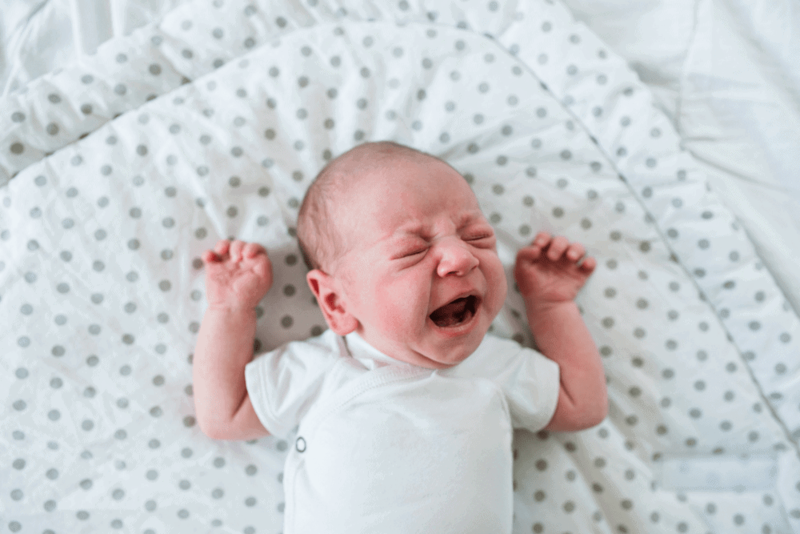 Having the baby cuddled up close and sleeping is a great way to build a connection. When you step back and let your husband do his fatherly duties you will be surprised at how much he’ll step up. Imagine if you had the opportunity to just let someone else do it all the time you might also slack off too. 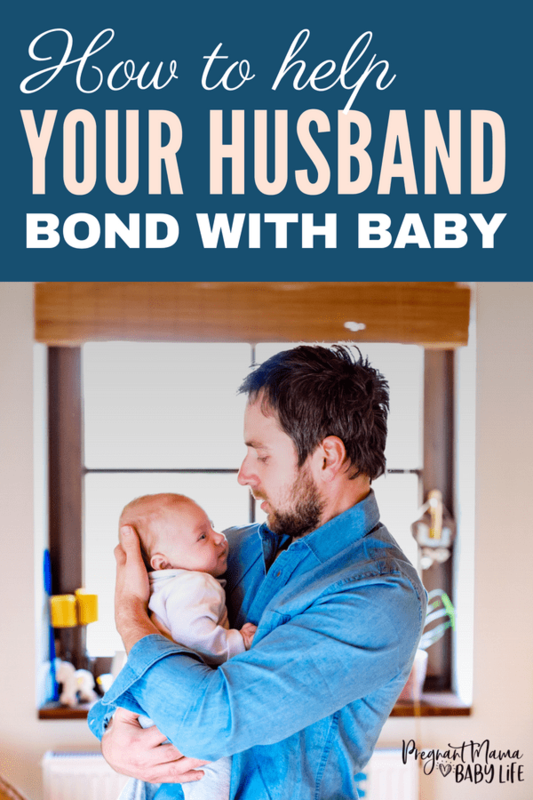 Giving your husband the opportunity to father your child will pay off now and later due to the stronger bond that will be developed between father and child.